← The Common Cold: Cured by Australians? Be adventurous – In some areas of study it is possible to take an exam, surf and ski all in the same day. Be spontaneous. Say “yes” to everything. The eastern coast is chock full of amazing sights. 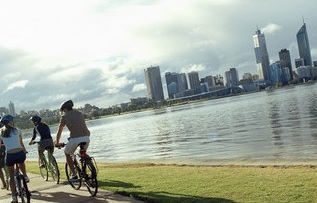 If the finances are there, an even more amazing time can be had venturing over to Perth, Adelaide or Darwin. You can’t truly say you saw Australia if you’ve only seen what was in your backyard. Heed warning signs – You’re not being cute by swimming next to a crocodile sign. Wild animal signs are a recurring theme in Australia. 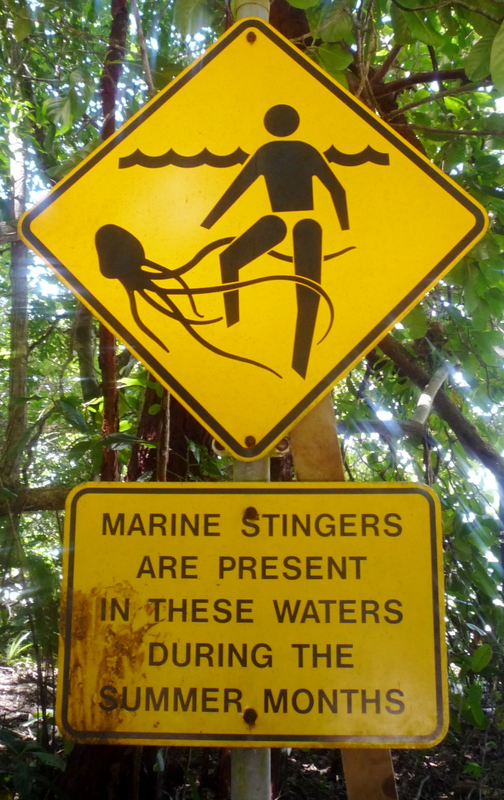 If you see a “stingers” sign then be wary. If you’re at the Top End of Australia, just go ahead and stay 100 metres from any body of water. Intern/volunteer – Australia was rated the best destination in the world to volunteer in. Being generous and productive in a study abroad trip looks great. What looks even better is getting a well placed internship in your field of study. Nothing shows as much thick skin and determination as gaining professional experience in a far off land. Here are some good volunteer opportunities and internship openings. Hang out with Australians – Everyone is naturally attracted to hanging out with others similar to them. But Australians speak English. You can understand (most) of them. You have no excuse not to befriend the locals. Take Matt McConaughey’s quote of success that he stems from “stepping out of his comfort zone”. I suggest ditching the people you came with. 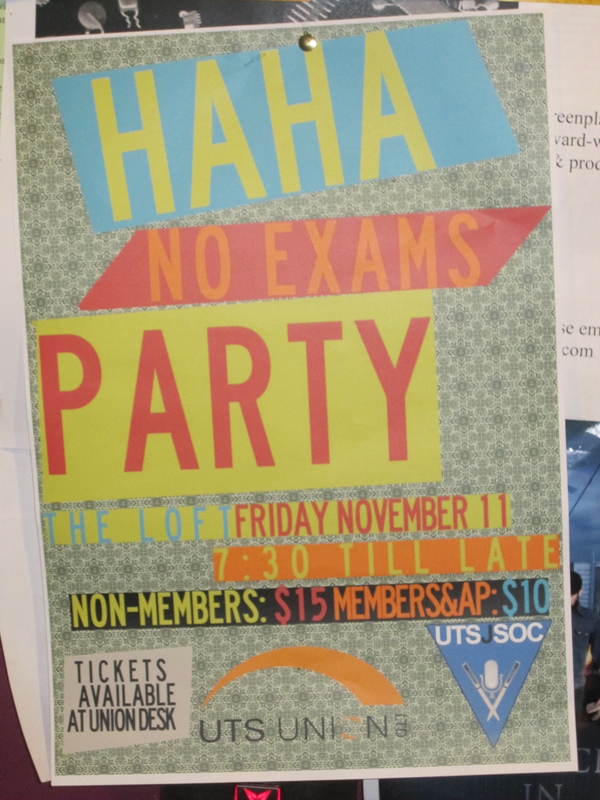 Go join some university clubs that don’t have the word “international” in them. Live with Australians. You might even pick up an Australian girlfriend/boyfriend along the way. 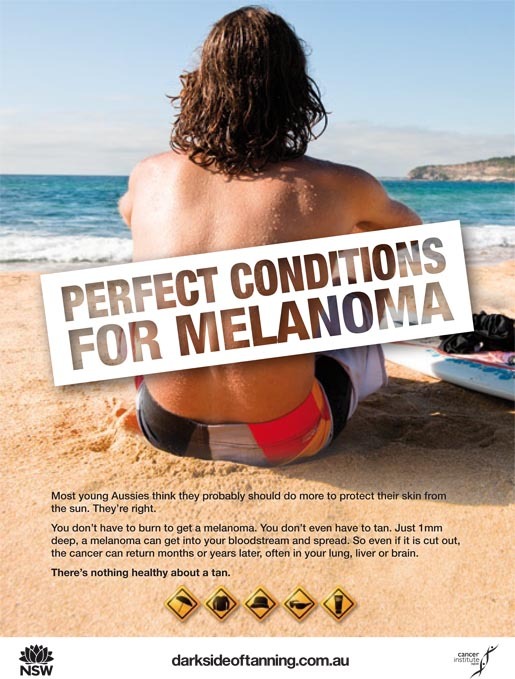 Wear sunscreen – Forgetting sunscreen is a big no no Down Under. Due to a hole in the Ozone, Australia is exposed to much more sun radiation. One may look at folks from the Jersey Shore for fashion advice but this style doesn’t age well here. Even famed rugged Australians like Paul Hogan have seen better years spent years due to the frequency of Australian sunbathing. Mom is right on this one. You don’t want to get skin cancer because you decided to skimp on the sunscreen. Have cash – This is not going to be a cheap semester. Don’t hole yourself up in an attempt to save that cash. Take out a loan or apply for financial aid if you have to. Apply for scholarships before you go. Get a job while there. Working while studying builds character and responsibility. You can work up to 40 hours every two weeks while a student. It will really define the work hard/play hard dynamic to living Down Under. You’ll really regret that time you missed out on the daytrip to Kangaroo Island because you didn’t have a few hundred dollars to spare. Eat authentic Australian food – No matter how far you venture you’ll always have the craving for a 3 am “Mackas” (McDonalds in Australian) run. I’m a hypocrite on this one because if they had Chipotle that would be all I ate. Don’t make these cravings affect a taste for adventure. One of my favorite aspects of foreign travel is the various affordable ethnic food stops. Better yet, save money and cook food yourself. You can even buy kangaroo meat at the store and have a barbie out back. That may be an entirely stereotypical way to eat in Australia but they’ll appreciate the effort. Consider a Work Holiday Visa – One of Australia’s biggest attractions is the Work Holiday program. Only a select few countries in the world offer Americans a Work Holiday program (Canadians have a much larger choice). Once your student visa runs it’s course, get a Work Holiday Visa and work for up to 6 months at a job of your choice. You can work for up to a year total. You might, just might see most of Australia if you spent a few years here. Do nothing. Say yes to everything. As long as you’re going to class this is the time to say yes to everything! There are no don’ts. Well maybe except for dropping out of school, getting deported, going broke, swimming with Great Whites, but you get the point. I couldn’t agree more! Whatever you do, don’t sit and do nothing. It really is possible to balance uni, a job/internship, friends, and traveling. The trick is to start planning your adventures early before you get busy with school and friends. Oz has so much to offer, but you need to prioritize what is most important to you. 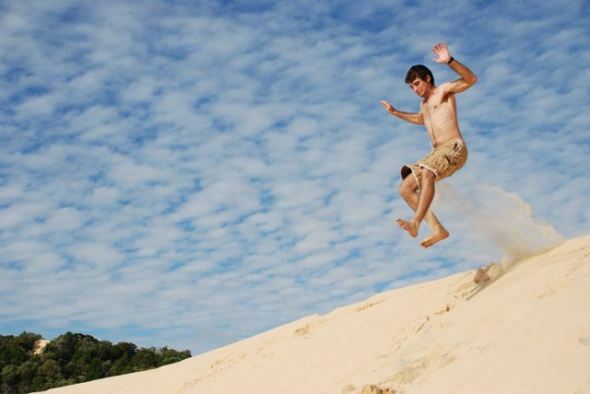 PS: That’s me jumping off the sand dune. Check out my blog as well if you are interested in reading about my firsthand Aussie experience. Ahh yes you’re the one that traveled all around Tasmania. You were about the most adventurous of all. Yup, that was me. Well, I figured that Australia was kind of far away, so I wanted to make the most out of my trip. Regrettably I never made it to the Top End, over to the West Coast, or Melbourne though. I guess that just means that I’ll have to go back! Thanks and have fun in Australia. Did you ever look into being one of our bloggers? Thanks 🙂 No I haven’t actually, I didn’t know you could! How would I go about getting some more information about that? It looks like you’re in Britain. We were looking for Americans and Canadians to blog about the Aussie experience, unfortunately. Ah okay, no worries then.